November | 2014 | Superhero etc. Hello interweb, Nate here. Last May, I created my Top 5 Favorite Comic-Based Cartoons as one of my first top 5 list. Since I have seen many more cartoons since then, I thought I’d go back to that list and update it with more cartoons. Now not only will I add cartoons to the list, but it is possible that the cartoons that remains from my previous list may be in a different order based on new experiences with the cartoons and/or different views than what I saw earlier. 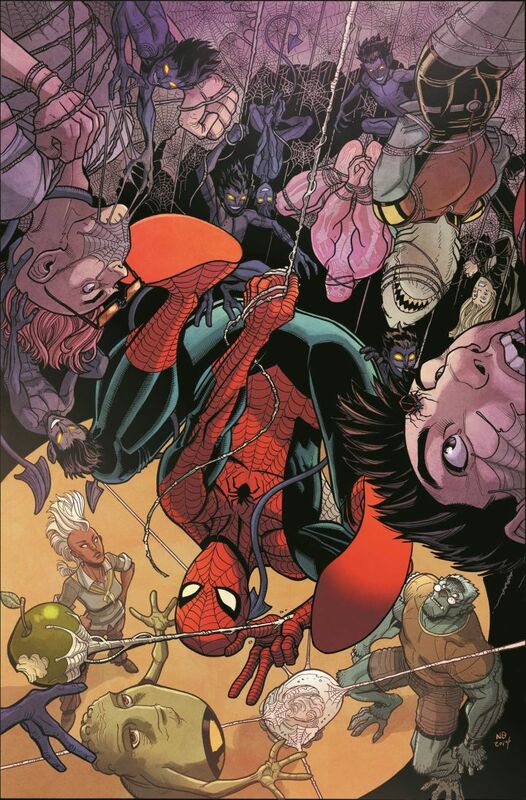 Also, we all have different experiences with the cartoons of some of our favorite comic book heroes, so my list may be different than yours due to different nostalgia and tastes so don’t hate me too much your favorite cartoon didn’t make it onto the list. Now with that said and done. let’s get to the list! Hello interweb, Nate here. So you may notice that I called this Robin the fifth Robin even though this is my forth Robin bio. That is because the Fourth Robin is technically the blink-and-you’ll-miss-her Stephanie Brown who is my personal favorite Robin (I like the other Robins best when they change their ID, Nightwing, Red Robin, etc.) 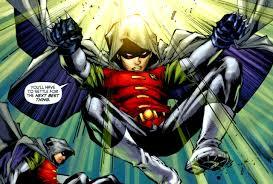 and had an extremely short run as Robin and as a result isn’t that significant to the other Robins. There is also Carrie Kelley who was a non-cannon Robin but due to the fact that the non-cannon story The Dark Knight Returns is one of the most famous Batman stories, people like to include her. And so I decided that that is the poll for today: Do you want me to do a Bio on the two remaining Robins? And you can choose between Stephanie Brown, Carrie Kelley, Both, or Neither. Either way, I’m not going to get to them before I complete my reader-requested Ant-man Character Bio.